What to Do When Excluded by the 'Cool' Kids - Energetic Juniors - Contact Us! Remember that time, at school, when all the cool kids were sitting together? Talking and laughing? When you desperately wanted to join in, but were left out of the fun? Remember how painful it was? Maybe something similar is happening to your child right now. Maybe something like that is happening to you? Here are 5 ways to handle feeling left out, for kids and adults alike. Who is ‘cool’ and why? What’s at the bottom of all this stuff about being ‘cool’? When it comes to group dynamics, especially at school and sometimes in the workplace and adult social environments (clubs, sports, and even at church), the ‘cool kids’ are the ones who set the real social norms, the ones that actually count – not the ones we are supposed to follow. The cool kids are the most popular, the ones that everyone wants to be friends with, the ultimate inner circle of social winners. What is ‘cool’ in that sense varies enormously depending on different social settings. Someone who is ‘cool’ in one setting may struggle to fit in somewhere else. Unfortunately, being ‘cool’ not only defines who belongs to that popular and powerful group, but also who is excluded from it. When ‘not being cool enough’ turns into ‘being targeted’ it might be time to think about switching classes or even schools or finding a different job. Social exclusion is not a minor side issue, it can affect your mental health and even your physical well-being. Because ‘being cool’ is much more about power by defining social status within a group than about any positive qualities, anyone can find themselves on the outside looking in. Understanding this dynamic is a big step in handling feeling left out. At the pre-school level, teachers use intervention strategies. He or she might explain to those excluding a child that they can always play with their preferred friends at home but that the school is for playing with everyone. The teacher may also create games with clearly defined roles that makes it necessary to include more children, something that also works with sports teams. Young children respond very well to these interventions because they are a lot more open-minded and don’t have a long history of fixed social behavior patterns yet. But teenagers and adults could also benefit from this kind of approach. There is nothing wrong with you. The problem is on the other side, with the excluders. But, it is true that one of the ways in which social exclusion works is by undermining your self-esteem. Because the ‘cool’ group defines themselves as being superior, everyone else is made to feel inferior,. This social pressure is very powerful for humans – we are social creatures and our connection to the group is vital for our survival. In oppressive societies, people prefer to accept inferior positions over defying the social order, and not just because of fear. It’s a way to keep everyone under control. In reality, you are the same person you were before you encountered the ‘cool’ group that excludes you. They also exclude a lot of others. And if one of them were transported into a different social setting, they would find themselves on the outside, too. Ultimately, the goal is not to define your self-worth through others. Still, we do need social affirmation and a few good friends. Create your own ‘cool’ by following your personal passions and interests and starting a group activity around them. This is your chance to define ‘cool’ yourself – and hopefully, because you know what it’s like to be on the other side, you will be more inclusive and reach out to others. 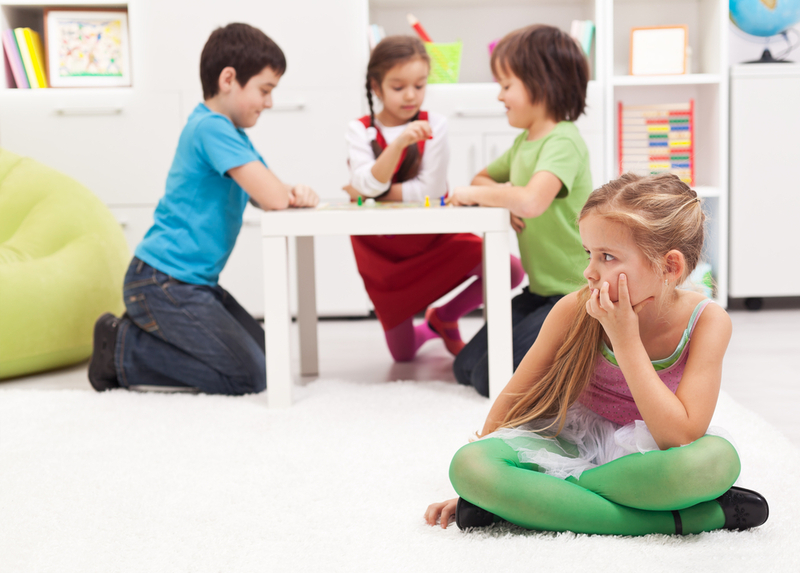 If your child is the one being excluded, you may have to make some suggestions and help with organizing the new group, perhaps with the help of parents whose kids who are also being excluded. This way, you will not only get to enjoy being ‘cool’ but you will also get to do what you really like together with a lot of new friends. There is a line between social exclusion by the ‘cool kids’ and outright bullying, and unfortunately, that line is too often crossed. If your child is afraid of going to school due to harassment or if you yourself dread going to work because of nasty gossip and backstabbing by the in-crowd, then exclusion has become bullying and you need to do something about it. Enlist the help of a teacher. Have a talk with your boss or with HR. Bullying is never cool and bullies need to be stopped.